Almost everyday at work, we eat at this place (from where I was standing when I took this photo). The scene is almost the same everytime I am there. 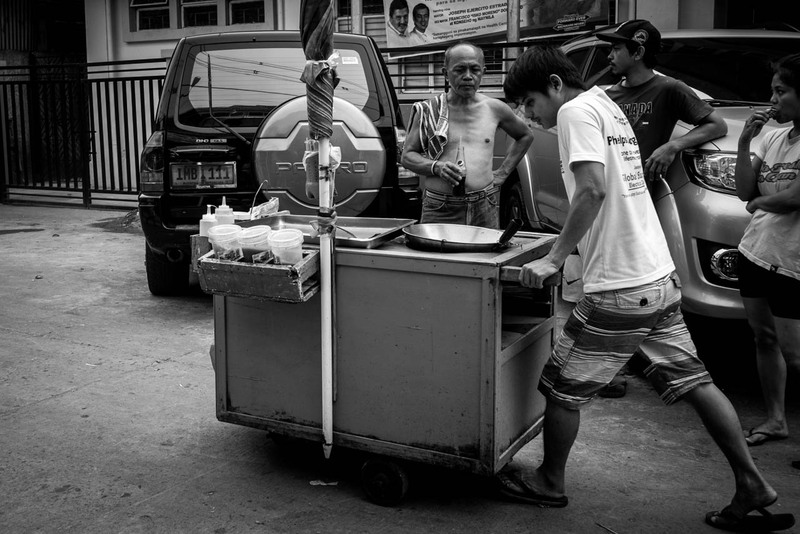 A vendor passing by while other people smoke, chat or have drinks after they finished eating. Taken using a Leica Summicron-M 1:2/35mm ASPH lens at 1/500s f/8 ISO 500. See image on Flickr for EXIF. Posted originally on my Instagram. Filed under Street Photography. Tagged as 35mm, Leica, Manila, Sony A7SII, Summicron.